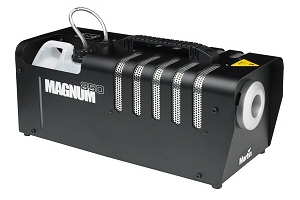 The Martin Magnum 850 is the perfect fog machine for small nightclubs, mobile DJs and bands. Compact and lightweight, it offers substantial cost and maintenance benefits over a long operational life. 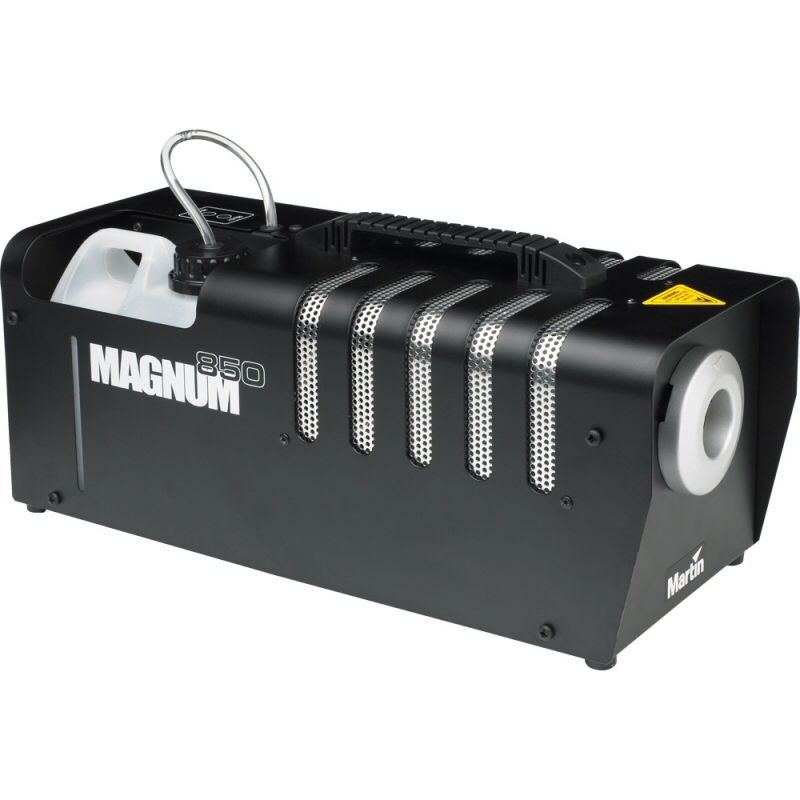 The compact Magnum 850 uses a 750 W heat exchanger together with a high-quality piston pump to effortlessly punch out a full 200 m3/min of dense fog. It heats up fast and is continuously operational for a trouble-free ‘set it and forget it’ effect. The delivery of a continuous and even level of fog and the incorporation of soft-start electronics means that the Magnum 850 operates at a very low noise level. Built rugged yet lightweight and conveniently portable, the Magnum 850 offers substantial cost and maintenance benefits over a long operational life. Supplied with a remote control and featuring the same machine-saving overheat protection as Martin’s larger machines, the economically-priced Magnum 850 will provide years of maintenance-free operation. An optional timer remote is also available. The Magnum 850 has a one liter fluid capacity, and a variety of fluid options are available for different applications. Martin offers the widest range of atmosphere-generating fog fluid around. Specially formulated and water-based, all fluids are effective, safe, and economical.